Since its inception, Raimi + Associates has had one focus: to engage in creative community planning work with a focus on sustainability, public health, and equity. In less than 10 years, Raimi + Associates has established itself in California as a leader in innovative planning solutions particularly in neighborhoods historically left out of the planning process. Through its use of multilingual and multicultural community engagement and expertise in LEED for Neighborhood Development, Raimi + Associates has become an emerging force in the planning community. Leadership within the growing firm encourages employees to take ownership in the communities where they live by engaging through volunteer activities with local and national organizations. Healthy community planning is the cornerstone of most, if not all of Raimi + Associates' plans. The work done by the emerging firm has already resulted in meaningful strides forward in creating healthier communities. The firm created one of the country's first stand-alone health chapters in a comprehensive plan and has since created nearly a dozen more, including the Plan for a Healthy Los Angeles. This chapter not only featured neighborhood health data and health-related implementation actions, but also an interactive, map-based Health Atlas that has been hailed by Atlantic Cities as the "the neighborhood data portal every city needs." Over the past eight years, Raimi + Associates has developed some of the country's most extensive expertise in U.S. Green Building Council's LEED for Neighborhood Development (LEED-ND). The firm helped develop the LEED-ND rating system, reviewed pilot projects, and co-authored the past three versions of the LEED Reference Guide. The firm has helped implement LEED-ND in more than a dozen development projects around the U.S., including the country's first LEED-ND certifications for existing neighborhoods in Syracuse, New York, and Indianapolis, and the country's first two LEED-ND platinum projects in Honolulu and Philadelphia. Raimi + Associates places a premium on creating culturally responsive plans that consider the rich history, socio-demographics, and unique spirit of a community. This approach paid off in dividends for the International Boulevard Transit-Oriented Development (TOD) Corridor Plan, which was completed in collaboration with a neighborhood with varying ethnic backgrounds in Oakland, California, in 2012. 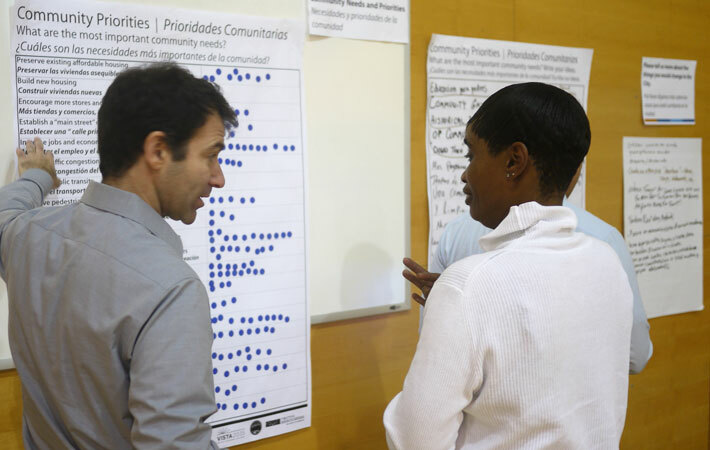 During the planning process, the firm uncovered a completely different set of community priorities for development than what were established initially by the City of Oakland. Through in-person interviews and conversations with local residents, Raimi + Associates was able to identify and address community concerns related to the built and social environment that a more traditional planning process might have otherwise missed. The City of Oakland received $1 million in state grant funds to implement the Corridor Plan. Through this work and other similar projects, Raimi + Associates continues to push the boundaries of healthy communities, sustainable neighborhoods, and community planning. Matt Raimi discussing community needs at an East Palo Alto General Plan Update Town Hall meeting. 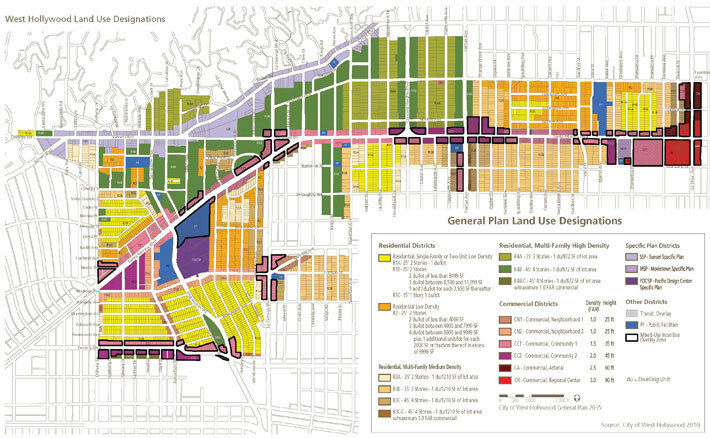 West Hollywood General Plan designations include design and streetscape standards focused around unique districts within the diverse and vibrant city.